HOW TO INTERVIEW YOUR REAL ESTATE AGENT, may be the most critical decisions you will make in selling, or buying your home. A Real Estate Agent Interview Questionnaire could be the difference between a great experience, or the most expensive and unsettling mistake in your real estate adventure. When was the last time you gave anyone a gift of $50,000 – $150,000??? Have you ever cut a check that size to a friend, or family member, without expecting it back? If you were on trial for a crime that you didn’t commit, and all the lawyers in the country charged the same fee, would you hire a relative, or the best qualified lawyer to defend you? Well, every day people choose to use unqualified real estate agents instead of the best person for the job. So how do you narrow down your choices without a rating system? 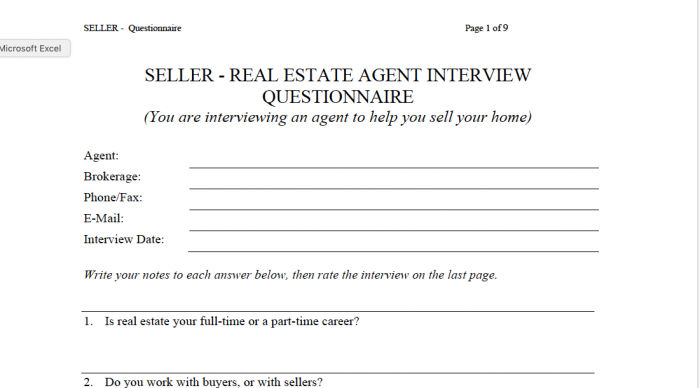 Why not Interview real estate agents by using our Real Estate Agent Interview Questionnaire? It comes with a Comparison Form at the back! HINT! Don’t wait until a week before you want your property to hit MLS to hire your agent. Your property marketing team should actually understand the difference between “Selling”, and “Marketing” your home. If your agent understands how to market, they will also require more than just a few days to get the word out about your property, and build up the “Hype”. Ask Us about our WQW Property Marketing Methods that do just that! We love it when our own potential clients use the “The Real Estate Agent Interview Questionnaire” to interview us. 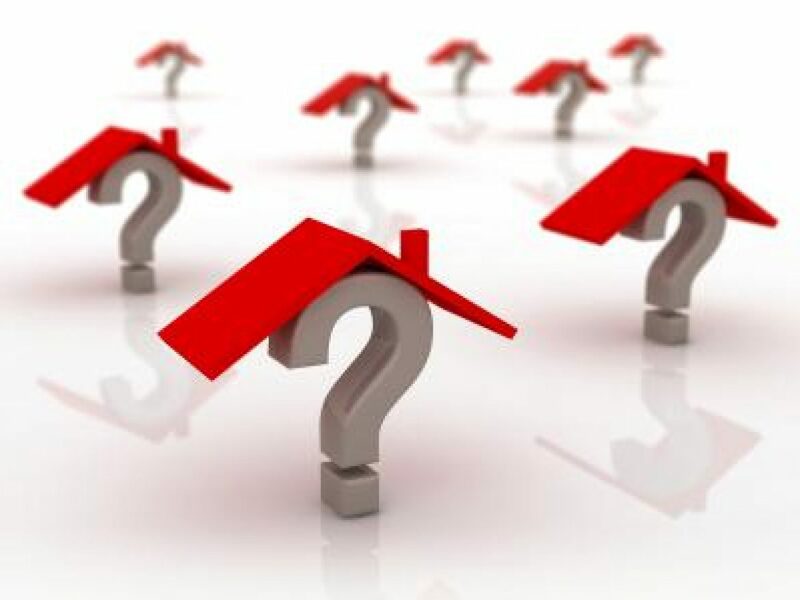 The Questionnaire contains numerous key questions Sellers should consider when hiring an Agent. It also includes well-timed challenges for the agent you are interviewing, just to try to get them off their game – to see how they may behave in adverse situations when your house is on the line. ⇒REQUEST YOUR REAL ESTATE AGENT INTERVIEW QUESTIONNAIRE HERE! Juliette lived in her parents’ house since she was 3 years old: a bungalow in a forest of post-WW2 single story family homes. With her parents long gone, Juliette was now married with 2 kids and a large SUV that didn’t fit in their garage. Watching her girls playing in the driveway sent waves of memories of simpler days, like frothy bubble baths she took in her parents’ en-suite tub. But it was time to move on. Dear Juliette, here are some non-standard qualities your parents would look for, if they were interviewing agents with you. Thanks for the memories: No agent can help you write the next chapter of your life, if they don’t care or respect where you have been. Do they care enough to learn about your family life so far, and how to minimize shock of the move on you and your children? LOOK OUT: Agents who feign interest. Say what you want to hear. Shut up and Listen. Not you…The agent… Do they know how to listen? Are they only trying to impress you with their knowledge and success stories, or are they asking you the right questions that should help them determine how best to help you? LOOK OUT! They don’t let you finish your sentences? They are not writing things down. Pushing you into making decisions quicker than you are ready. Deliver on Short Term Promises. All agents should arrive prepared with material and information about the neighborhood, market and the home you are trying to sell. But you should prepare one or two assignments that are relatively easy to accomplish by the agent within a few hours or a day; a piece of information, an analysis, a list of services … then see how they get back to you? LOOK OUT: General answers. Excuses. Responses that don’t address the assignment. Busy Agent vs. Free Agent – Some may show you all their awards, but pass your deal onto a junior agent. A less experienced agent may give you all the time in the world, but may lack the skills and experience to do all the right things. Who is going to handle your deal and will they be open to asking for help if they get over their head during the process? Name that Brokerage – Remember, your Listing, or Buyer Agreement is not with the agent, but with their Brokerage. Pay close attention to the brokerage’s reputation. Are they established, reputable, a name you recognize and can trust? Will you be comfortable calling the broker of record and request better, or different service, which may, or may not include the agent you chose. LOOK OUT! The broker of record won’t call you back. They don’t offer much information about their agent. Tough Love – Your agent must be – amongst many things – an expert negotiator. Plan two or three points of contention during your interview and watch the agent’s response. Are they adept at dealing with adversity? How will they fare in the trenches when they argue price, unique conditions, fees? Here is the first page of the most requested publication we have ever produced. 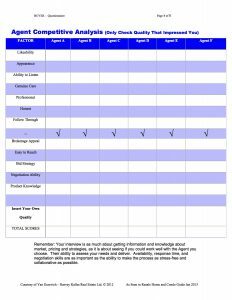 READY TO GET YOUR FULL COPY OF YOUR OWN REAL ESTATE AGENT INTERVIEW QUESTIONNAIRE, AND RATING SHEET? ⇒HERE IS THE REQUEST FORM AGAIN!!! !